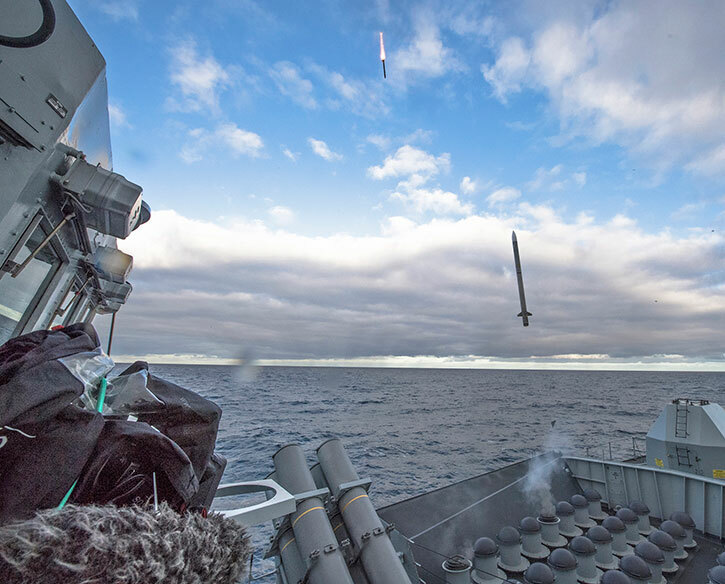 Following first deployments at sea on Type 23 frigates, MBDA’s Sea Ceptor matures to become highly effective and efficient all-weather air defense weapon system. Designed for efficient deployment on land and at sea, Sea Ceptor offers unique advantages for operations of small surface vessels. Relying on active-RF guided CAMM missile, the system uses different radars and command and control systems provide short and medium air defense covering an area of 500 square miles. Selected for use on next-generation Type 26 frigates, Sea Ceptor has also been installed on existing Type 23 frigates, replacing the Sea Wolf missile system. 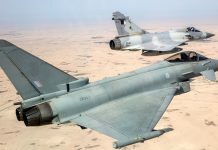 CAMM relies on existing capabilities from MBDA’s portfolio, such as datalink C3 and propulsion from the Advanced Short-Range Air-Air Missile (ASRAAM), along with command and control from the Sea Viper, used on six Royal Navy Type 45 destroyers. Variants of Sea Ceptor have been ordered by three nations – UK, New Zealand, and Chile. The Royal Navy (Type 23 upgrades and new Type 26 frigates), Chilean Navy (for Type 23 frigates) and Royal New Zealand Navy (ANZAC frigate system upgrade). To date, Sea Ceptor systems have been deployed on two Royal Navy frigates, HMS Argyll in 2017 and HMS Westminster in 2018. Two systems are also deployed on Royal New Zealand Navy vessels, HMNZS Te-Kaha and Te-Mana. Brazil has also selected the weapon for its new Tamandare class corvettes. Spain, Finland, and India are also potential customers for the system. Sea Ceptor can also be retrofitted on a range of platforms, beginning at 50m offshore patrol vessels (OPV) and corvettes, frigates, and destroyers. 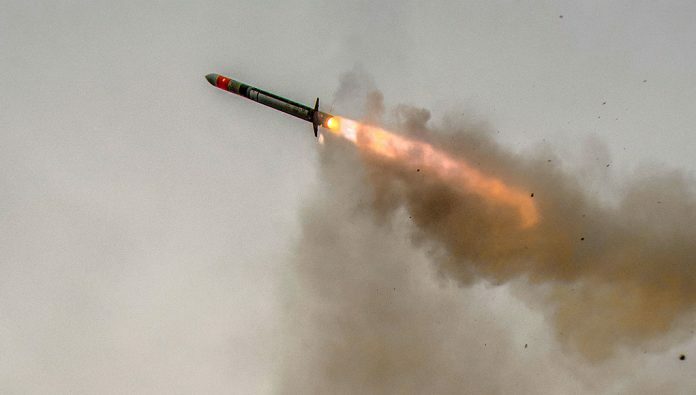 On larger vessels, CAMM missiles can also integrate with standard VL-41 vertical launch system (VLS), with each cell containing four CAMM canisters. MBDA has worked with Lockheed Martin to develop a lightweight version of the MK41 launcher for CAMM. 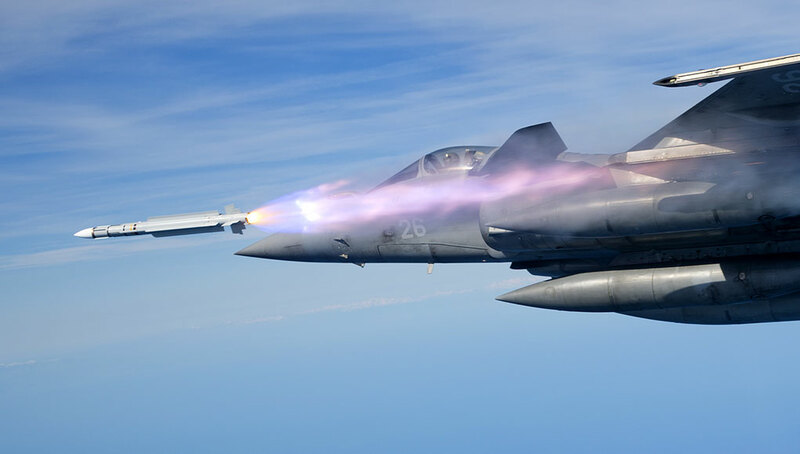 Using an active RF seeker for targeting, CAMM does not rely on target illumination by the launching platform and can therefore simultaneously engage multiple targets. Target data can be uploaded to the missile in flight, as the missile maintains continuous two-way data link with the launcher immediately after launch. A key capability of CAMM is the use of a soft launch mechanism that imposes minimal loads on the launchers and structure. This concept minimizes smoke and flash effects that may obstruct sensors and systems on board. It also enables the simultaneous firing of multiple missiles against different targets. The missile performance derives from optimal use of onboard propellant. Its powerful rocket motor sustains the missile kinematics at twice the range of the Sea Wolf it replaces, using alternative propulsion for ejection and platform separation. The engine is ignited high above the vessel, after being injected to the air by compressed air. Using separate propulsion for the vertical launch phase. The soft launch reduces the launch stress on the platform and eliminates the need for managing hot gas efflux on-board. The land-based variant is ‘Land Ceptor’, designed as the interceptor element of modern Ground Based Air Defense (GBAD). 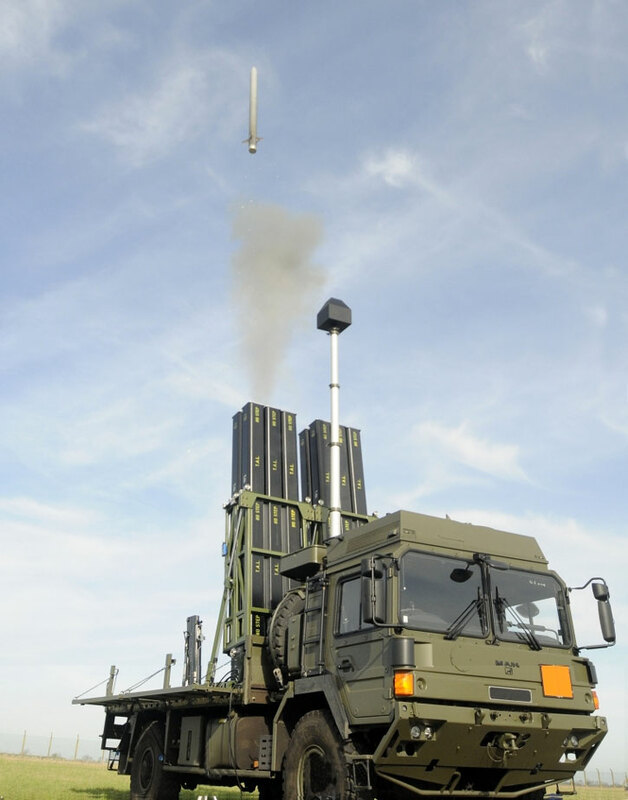 The launch customer for Land Ceptor was the British Army, acquiring 14 systems for the ‘Sky Sabre’ (GBAD) capability. 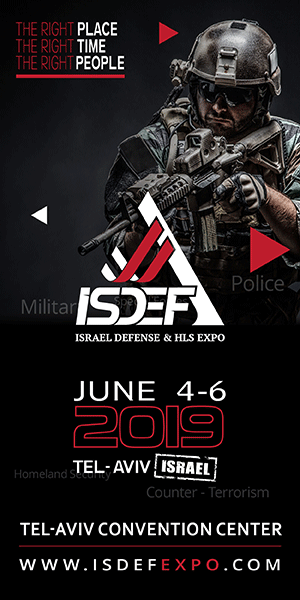 The system integrates three main elements from four nations: MBDA’s Land Ceptor missile system (UK), Saab Giraffe AMB radar (Sweden), and Rafael’s modular, integrated C4I air and missile defense system (MICAD – Israel). All elements will be mobilized using HX77 heavy utility trucks supplied from Germany. 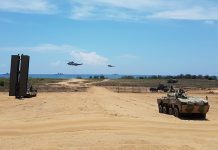 Replacing the Rapier SHORAD missile Land Ceptor will have a range of +25 km, three times the Rapier’s range, broadening the former weapon’s target set to more challenging threats, including guided weapons and cruise missiles. An extended range variant, CAMM-ER is in development at MBDA Italia. The new missile offers an extended range (+40 km) is expected to assume the Italian Army Short Range Air Defense (SHORAD) mission as it replaces the ASPIDE system, expected to be phased of service by 2021. The CAMM-ER system integrates Italian radars and command and control systems. The missile uses a new propulsion augmentation system developed by Avio. The missile is expected to begin firing trials this year.